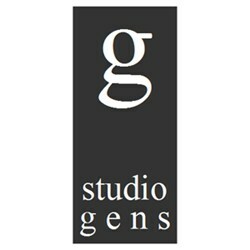 Architect Olga Frydecká and interior designer Šárka Špačková have been working together designing and implementing residential and commercial interiors since 1997, when they founded Studio Gens. In their work they mutually complement each other perfectly. They also agree that it is necessary to enhance each room with a more conspicuous piece, whether this is a picture, a piece of design furniture, a plant or a photograph of your family. They always try to respect the atmosphere of a given space and its historic past, as well as the personality and wishes of its clients. They do not merely follow the latest trends in interior design at all costs, as so many do these days; instead, they stick to simplicity, natural materials and light shades especially with respect to larger pieces. They prefer a minimalist approach, resulting in perfect interiors that look harmonious, attractive and functional. In 2000, Studio Gens was awarded the coveted Dobrý Design 2000 Award (Good Design 2000) for its collection of carpets. Olga Frydecká and Šárka Špačková also design custom-made furniture for individual interiors. In 2017 Studio Gens won the Czech Interior of The Year for their reconstruction of the house in Jelenske udoli.